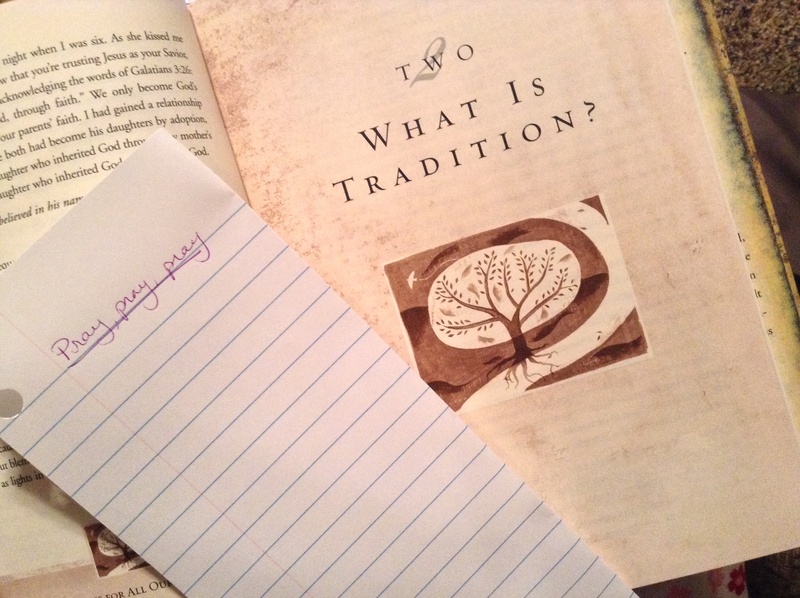 As I have started re-reading Treasuring God in Our Traditions and thinking about many of you joining in for this month’s Book Club, I am praying for you, praying for the families that you represent. As I’ve thought more about praying for YOU, I would love to have your names to lift specifically before Him. I can think of nothing greater than families treasuring God in the ways and manner that they structure and organize their “everyday” and “especially” traditions. Of course, I know that satan especially wants nothing more than for those things to never happen. So, as we journey through this book, striving to create God-centered traditions for our families, I am takin’ names. No, no, no, this is not a list of those of you NOT reading. (Don’t worry, you’re not in trouble!) I would love to pray for you by name. If you are joining in and are comfortable sharing your name, please send it to me via email suzanneshares AT gmail DOT com, comment below or comment on this link on the Suzanne Shares Facebook Page. I’ll compile a list, and this list will serve as my bookmark in my copy of the book. As I read, I will pray for you. Anticipating all that He will do in our families as we read the book together this month!